United Airlines said it was a "tragic accident that should never have occurred, as pets should never be placed in the overhead bin"
When an attendant on a United Airlines flight from Houston to New York City told Catelina Robledo and her daughter to put their dog in an overhead compartment because its carrier was partially blocking an aisle, they knew something was off. "My mom was like, 'It's a dog, it's a dog,'" said Sophia Ceballos, Robledo's 11-year-old daughter. "And (the flight attendant) said, 'You have to put it up there." 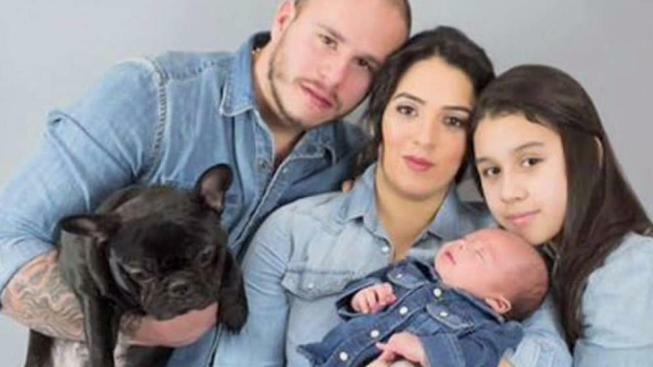 Then, before Robledo -- who was also traveling with a newborn baby on the Monday flight and had paid a $200 fee to bring the French bulldog, Kokito, aboard -- could protest further, the overhead compartment was closed. It ended up being the last time they saw the dog, who Ceballos affectionately called "Little Pig," alive. 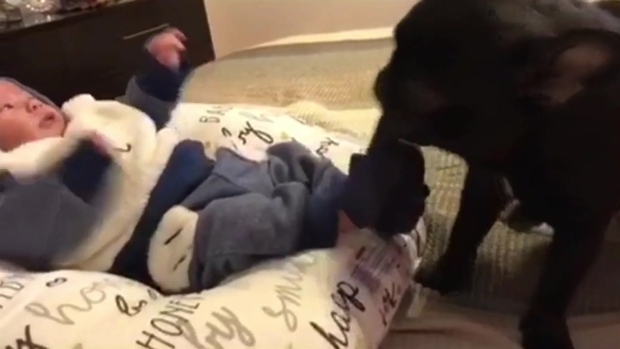 Kokito, the dog that died aboard a United Airlines Flight from Houston to New York City on Monday, plays with Catalina Robledo's infant. Ceballos was justifiably worried about putting the pup overhead, and other passengers voiced concern over what they had seen. Witness Maggie Gremminger told NBC News she remembered it as a "triggering moment where it didn't feel right." "(Another passenger and I) looked at each other and said, 'Did they just put the dog up there?'" Then, Robledo, Ceballos, Gremminger and others sat nervously over the 4-hour, 25-minute flight. Gremminger said she Googled whether dogs were safe in overhead compartments. Ceballos, 11, said she she heard the puppy she got for her birthday let out a few barks. "We were really worried," Ceballos said. "He barked in the middle of the flight, and there was a lot of turbulence, so we couldn't get him." When they landed, Robledo opened the overhead compartment and realized the dog wasn't moving. Kokito had perished in the flight; the cause of death isn't quite clear. "She was saying, 'Kokito, Kokito wake up!'" Ceballos recalled her mother saying. Gremminger said she saw Robledo on the floor, rocking and crying. A stranger offered to take the baby and passengers normally hurrying to grab bags and get off the plane were frozen in shock. "You could see that she was holding her dog and it was not moving," Gremminger said. She added, "She was just crying and, I'm sure, in disbelief and overwhelmed with guilt and confused....everything felt drained." Gremminger stayed with the family to help, noting that everyone in the flight crew was "incredibly shocked" that a flight attendant would tell a passenger to put a dog in an overhead compartment. "It's just so sad, that dog was so sweet," she said. United said in a statement afterward that it was taking responsibility for Kokito's death, calling it a "tragic accident that should never have occurred, as pets should never be placed in the overhead bin." The airline added that it is investigating the flight and talking to the flight attendant. The airline has refunded the tickets for Robledo and her children and refunded the $200 fee they paid to bring Kokito on board. But Ceballos said they're not after money as she recalled how her dog enjoyed running around and doing flips in the park. "We don't want the same thing to happen (to other pet owners)," she said. "If flight attendants tell you to put your pet (in an overhead compartment), don't do it."